Today I completed my seventh day of Janathon and this time round, I have managed to run every day. I have also improved my speed as the week has gone on which I’m really pleased about. After a rubbish night’s sleep dreaming about all sorts of weird horrors, I woke up to a throat that felt like I’d been swallowing a cocktail of razor blades and broken glass and a blocked up nose. Running wasn’t an option. 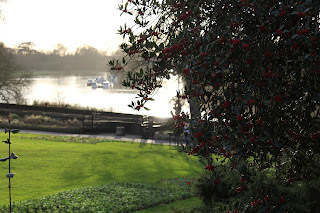 I took it easy and had a lovely day just mooching around Richmond instead. 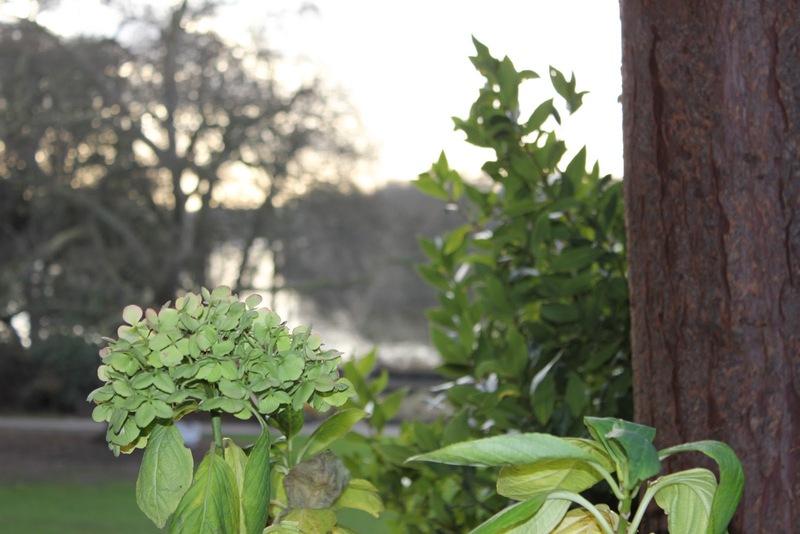 I walked along the river and to a cute little tea room called the Hollyhock cafe, hidden away in Terrace Gardens overlooking the river. I've never been here before and it is quite a little find. It is a fairtrade cafe, the sister cafe to the Tide Tables cafe under Richmond Bridge which I love. It's a fantastic place to come in the summer. Both places are vegetarian and even though I'm not I absolutely love the food. 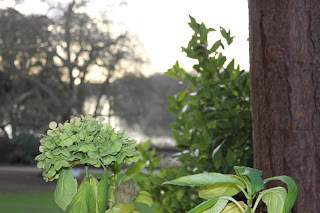 Tide Tables was closed today but I saw a sign on the door directing me to Terrace Gardens so I went to explore. The location is just gorgeous, in a beautiful garden overlooking the river. 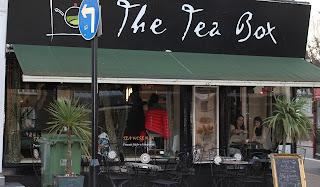 It was cold but I still sat outside and they even offer hot water bottles to keep you toasty while you enjoy your tea. After half an hour or so I was cold so I carried on walking along the river and headed for the town centre. 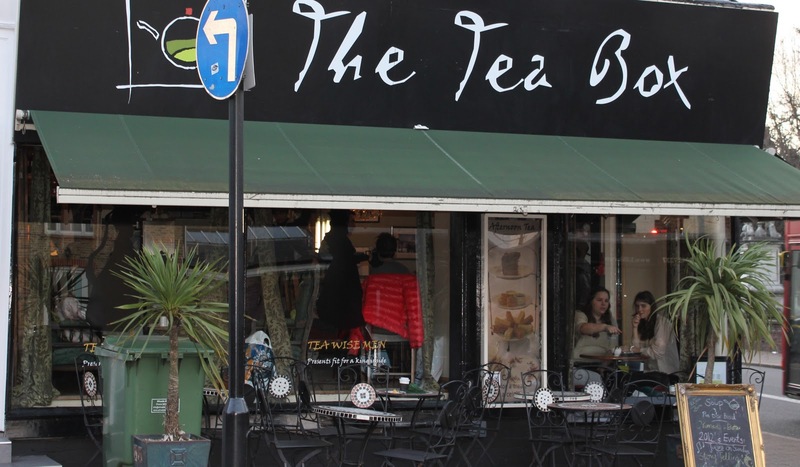 I went on to another favourite place of mine, The Tea Box on Paradise road. I actually blogged about it last year at about the same time funnily enough. I felt tired and I really felt like my body needed to relax so I spent the day taking it easy and thoroughly enjoyed it. I love The Tea Box. 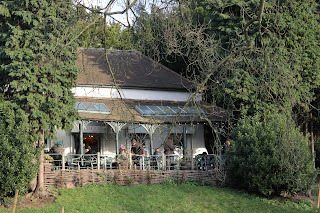 It is a speciality tea house on Paradise Road and it is just delightful. A vintage styled interior that doesn't try to be 'cool' or pretentious, it's the perfect little hideaway to relax and sip tea whilst reading a favourite book or catching up on precious time with friends. They have a fantastic selection of tea available and if you want something a little naughty you can even have an alcoholic tea. I had one before Christmas that had Baileys in and it was absolutely delicious! I love the way there is such attention to detail. A timer to brew your tea to perfection, gorgeous tea cups and spoons with a little teapot on the end, and sugar grabbers with little hands on them. The bill is normally delivered in a mini treasure chest which I love but I was a bit disappointed today to just be handed the bill, especially as I had been a super kind customer and let three other groups of people be seated before me because I didn't want to be selfish and take up a large table. I will let them off though because I love it there and they were super busy. They provide a great menu and even hold events there such as comedy evenings, jazz events, tea tastings and storytelling for children. The staff are knowledgeable and they are more than happy to share their expertise with you about the range of teas they have on offer. Not only can you enjoy the delicious tea on the premises but you can purchase loose tea to take home, along with some of the cute teaware, cups, spoons and teapots. If you are ever in Richmond I would highly recommend visiting though do expect a little wait as it does get busy at weekends. You can only pre-book tables if you are planning to have the set afternoon tea menu but it's worth the wait as it is a special little place. I was pleased to see that they are now on twitter too. You can find them on @theteabox. I got home and I knew that I had to complete my daily run. 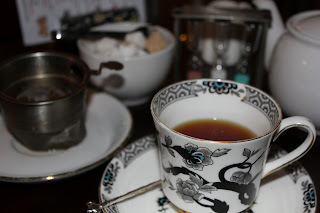 I enjoyed lots of tea today but not a lot of water. I hadn’t prepared and I was nervous. I reluctantly pulled my kit on after lingering around and giving my boyfriend three goodbye kisses, just so that I could stay in the warm a little longer. As soon as I stepped out of my gate I focused and I just ran, completing my first lap faster than I’ve done this week. I kept going, concentrating on positive thoughts and putting one foot in front of the other. A few people got in my way tonight. I nearly got tripped by a dog and a family thought I looked like the most appropriate person to stop and ask for directions. Don’t get me wrong, I’m very friendly and normally very helpful but was it really a good idea to pull up and ask the girl that was red faced, concentrating on not being sick with her head down? There were other people around and I felt bad that I had to apologise for not helping, carry on running and point at my arm whilst shouting something about having a time to beat. I knew that I was capable of finishing in less than half an hour so I didn’t want to give up. I arrived home 1 minute 26 seconds faster than when I ran my 5k on Thursday night, bringing my total improvement to 5 minutes and 8 seconds from the 5k on Tuesday. I think I’ve done ok in week one to complete 37.5kilometres and improve my 5k time by over 5 minutes. Janathon week one is complete and I will kick off week two with a lovely long run tomorrow morning. Now I have the confidence that I am still able run, I need to concentrate on strengthening my body, especially my core strength. Planks here I come!